Whatever lip product you're wearing, it definitely makes a statement. This is why I found myself gravitating towards lip products when I visit the mall or even go online window shopping. 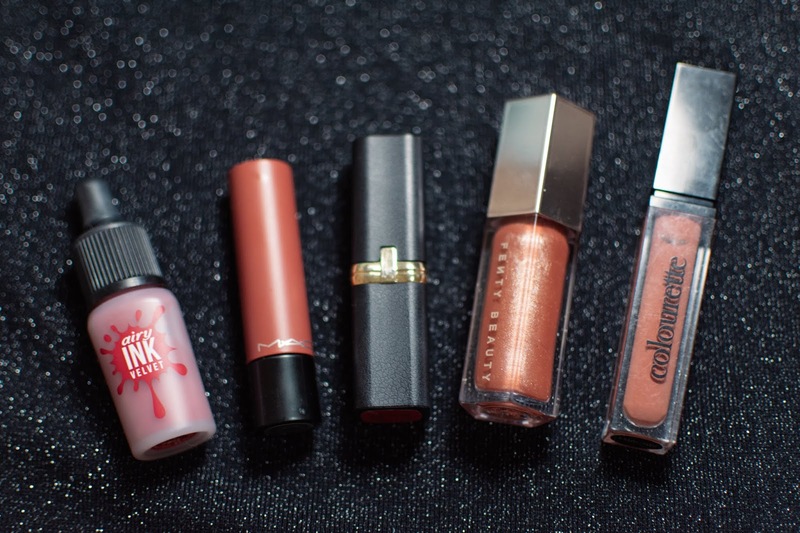 I've accumulated a lot of lip products in such a short span of time that I thought of sharing my five favorites from my collection. I got this idea from CA, where she also shared her favorite lip products as of the moment. Some are really good products, while some are just there, sitting, waiting for their expiration dates to come. (Let's be honest, I'm pretty sure we've all had regrets with lipsticks, hahaha!) 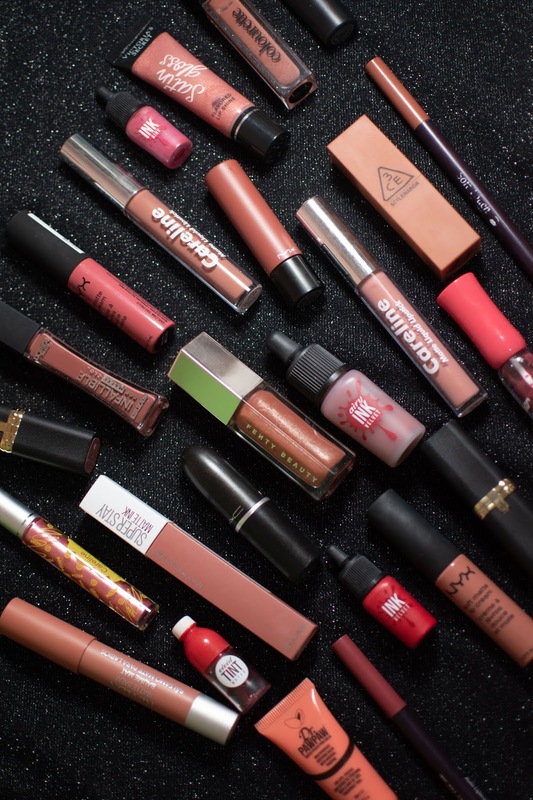 But I have more than a handful of lip products that I really like. The five special ones are the ones I find myself reaching out to whenever I do my makeup. 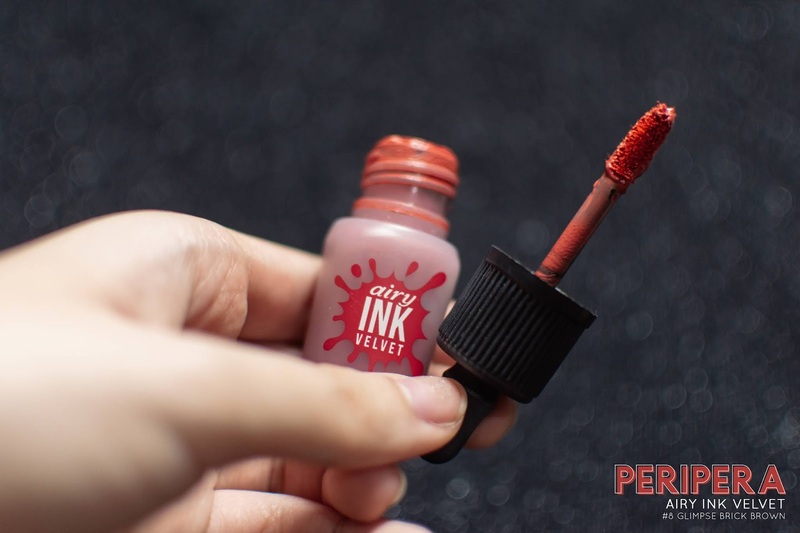 The Peripera Airy Ink Velvet in #8 Glimpse Brick Brown has got to be one of my most used products in this bunch. I also use it for my cheeks and even on my eyelids. 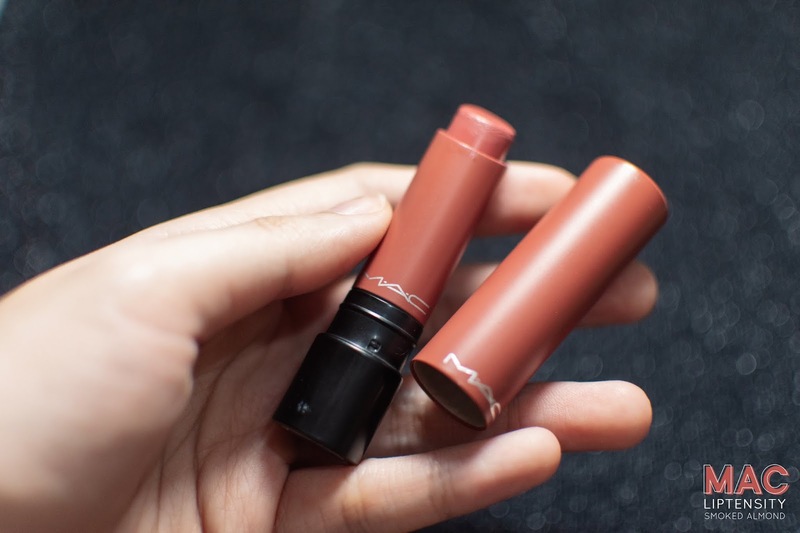 It has a mousse-like texture and sets on the lips in a velvety finish. The color is also something that I usually pick when looking for new lip products. 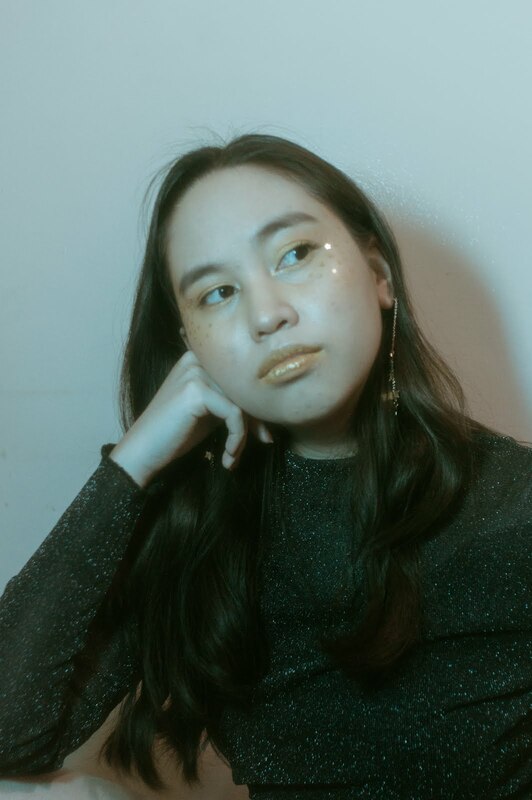 It's like a my lips but better (MLBB) kind of shade. 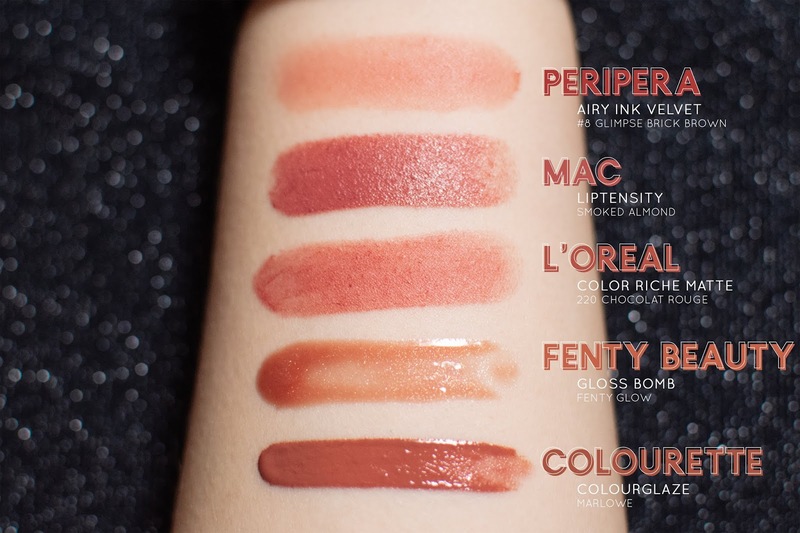 It does leave some stain but it's not as long-lasting unlike other lip staining products. I find this very easy to apply and it's perfect for when I'm in a rush (which is almost always). I really want to buy another one to create a really cute gradient lip. This Mac Liptensity Lipstick in Smoked Almond is a shade that has been discontinued but still has a place in my heart. This has a warm brown tone to it and it really is much more intense than their usual lipsticks. Though it feels a bit heavy on the lips, it does its job to stay longer than their usual lipsticks. I really love the smell of Mac lipsticks!!! 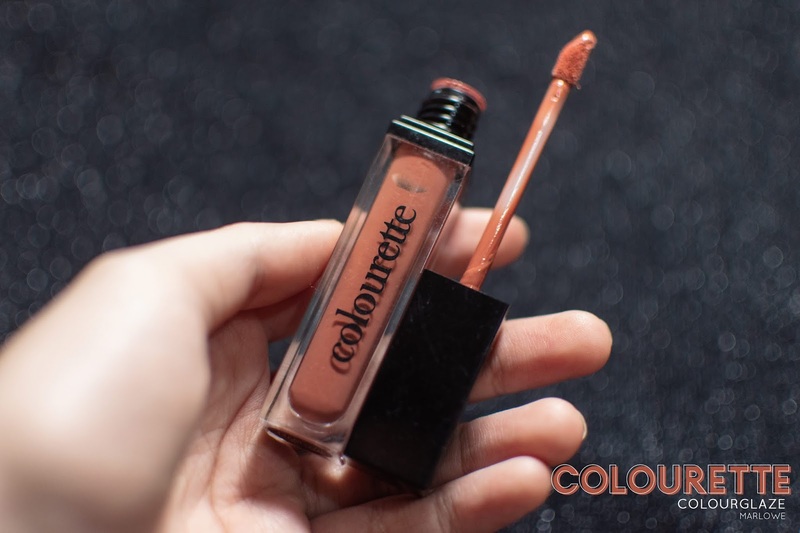 The L'oreal Color Riche Matte is easily one of my favorites. I have the 220 Chocolat Rouge, my favorite. I also have the 202 Maple Mocha. And truth be told, I need more. Despite seeing my excessive lip products, I can't have too much from this L'oreal lipstick. I love this particular shade as it's kind of brighter than my other lipsticks. 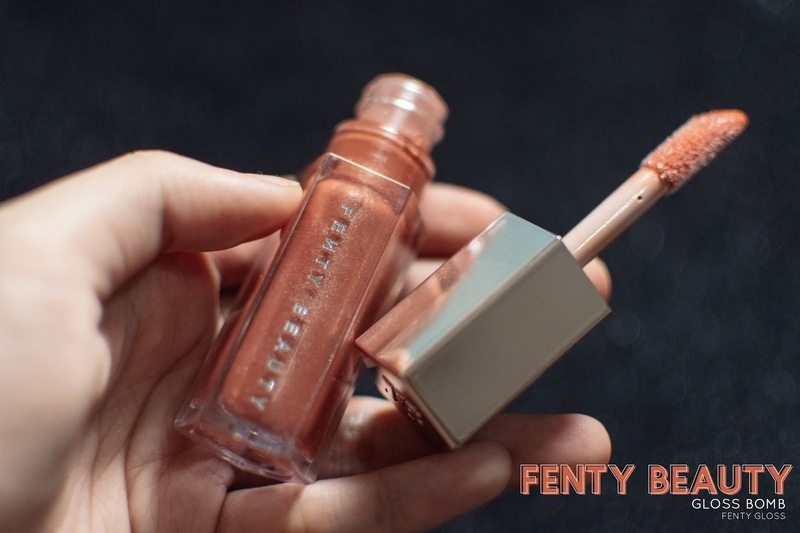 The Fenty Beauty Gloss Bomb in Fenty Glow is easily one of my favorites. This was gifted to me by a friend and I am so in love with this lip gloss. It's not heavy on the lips and not that sticky. 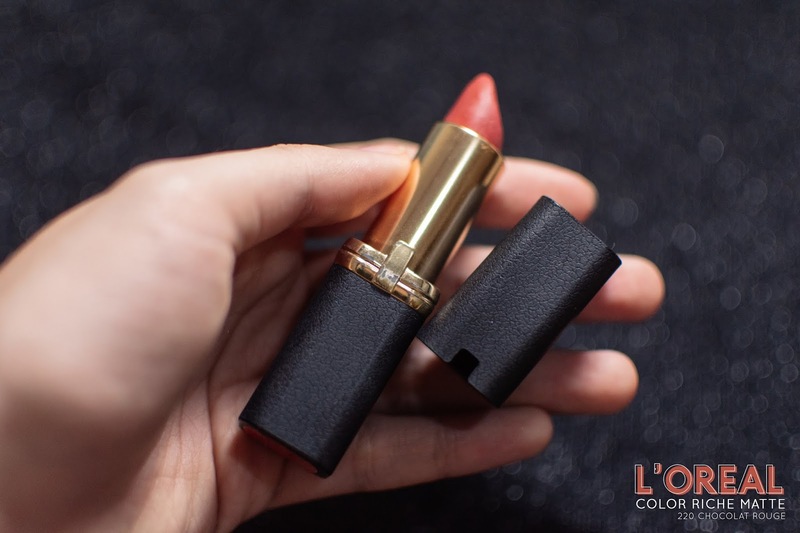 You can wear it on its own or use it on top of a matte lipstick. It has the right amount of shine and it also smells so good! Last, the Colourette Colourglaze in Marlowe. 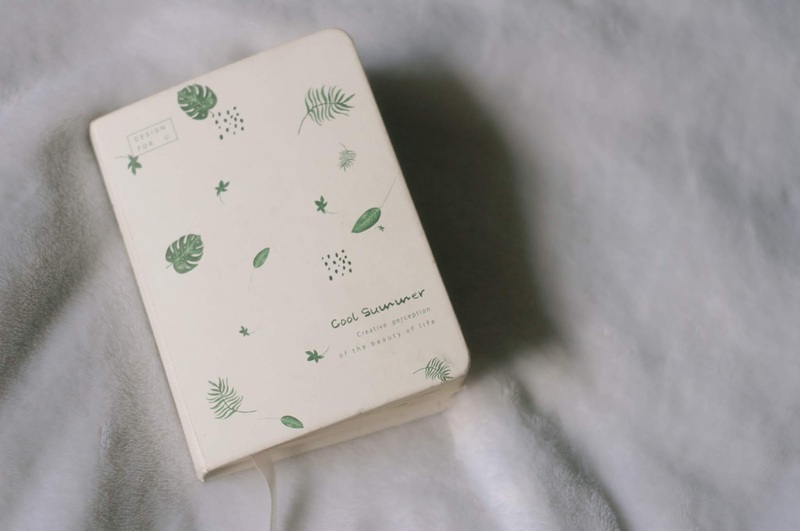 I've always admired this local brand for their marketing and of course, their products. They seem to be releasing so many products that cater to the Filipino market. I really admire them and of course, support local! Which is why I decided to try this product. This is a lip gloss with an opaque color. I wear it on its own or sometimes with lip liner underneath. 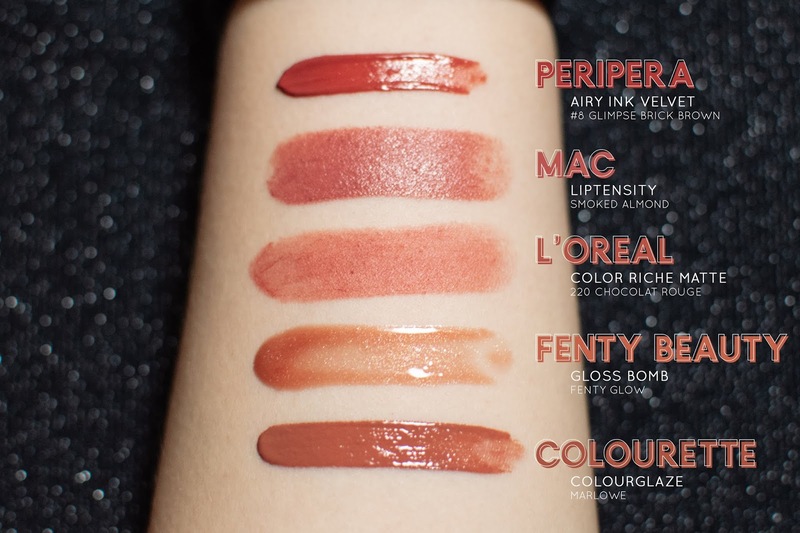 Above are the swatches of the products. As you can see, most of them have a similar shade or tone, hahaha! I really need to get out of my comfort zone, even with lip products. 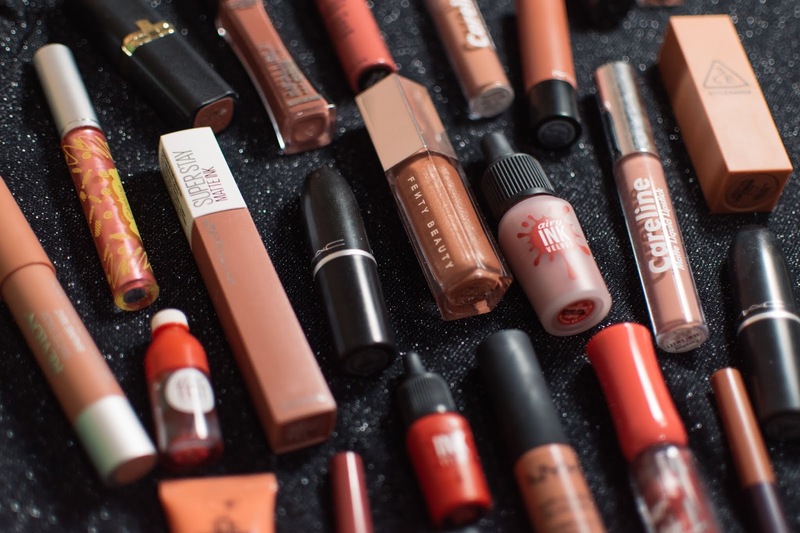 What are your go-to lip products? What do you swear by? I'd love to know! Please share them with me! I hope this also helped with those of you who are looking for new products to try.